I'm so excited to be posting my very first giveaway today! 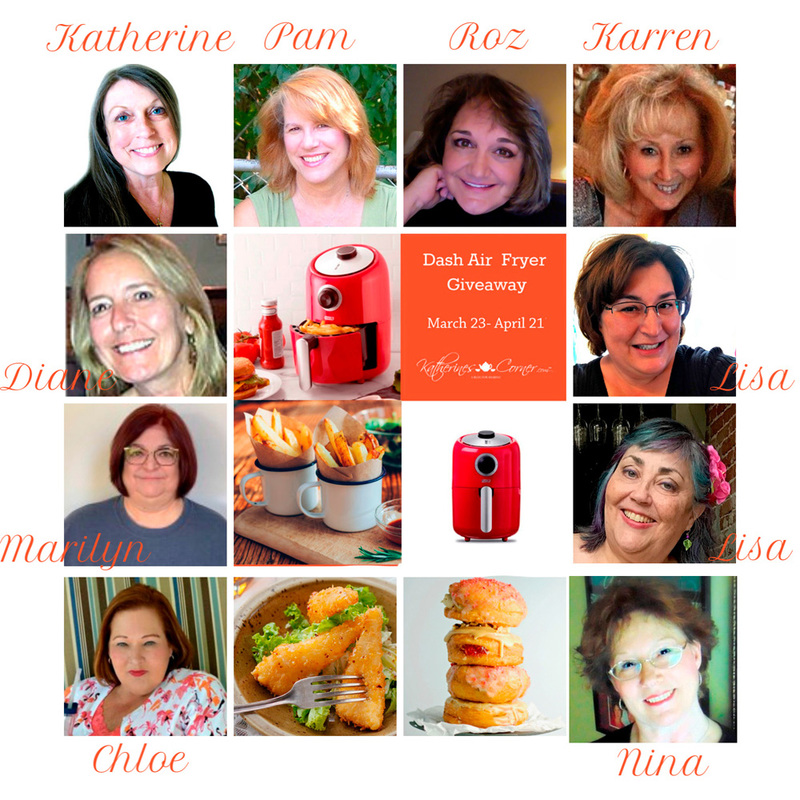 Have you gotten the Air Fryer bug yet? I've been seeing all of the great Air Fryer recipes all over the internet lately, and I've been intrigued with the idea of cooking this way. What a fun new way to cook. Now one lucky winner will get to enjoy this new toy! 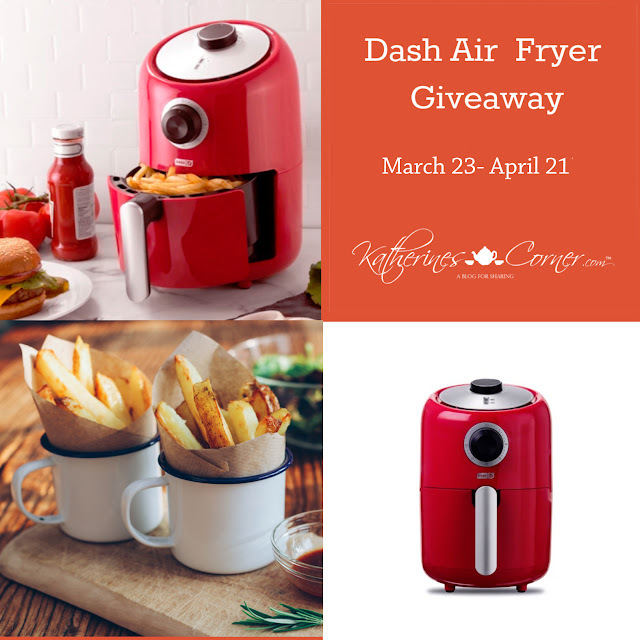 Katherine, at Katherine's Corner, has great monthly giveaways, and I'm joining Katherine and a few other bloggers to bring you the "Air Fryer Giveaway." Please remember to follow Katherine and all her hostesses so you can earn all of your entry opportunities. Disclaimer -from Katherines Corner-Some of Katherines giveaways have sponsors and/or reviews included. Katherines Corner may receive compensation for reviews and advertising provided through a sponsored giveaway. However, no compensation will influence the outcome of any review or giveaway win. Katherines Corner provides reviews to readers in order to provide an informed decision before purchase. Katherines Corner and its affiliate Bobskatie Enterprises reserves the right to not publish a review of a product or products that do not meet the specified instructions provided to product submission companies or individuals. Reviews are posted in the appropriate section at Katherines Corner and may also be posted on Amazon.com (subject to products availability.) This disclaimer is in accordance with the Federal Trade Commission's 16 CFR, Part 255: "Guides Concerning the Use of Endorsements and Testimonials in Advertising." To enter, please log into the entry form using your email address. Have fun, and Good Luck in the Giveaway!